I’m very honored that a new review was written for “Not Just on Sundays: Seeking God’s Purpose in Each New Day”! Thank you to Amanda at “The Nerdy Bookworm” for your lovely description and for so beautifully capturing the heart behind this project. Amanda’s book reviews are a great place to check before you start your summer reading. I enjoy receiving her reviews emailed directly to me. For more reviews of NJOS, feel free to check out the Amazon.com page. Blessings to my “Espressos of Faith” readers for letting me hone my craft and share my heart lessons so intimately with you on such a regular basis. When I first got an email from Bonnie Smith asking me to review her book, Not Just On Sundays, I was excited. Not simply because I enjoy reading and reviewing books, but because she sounded like such a kindred spirit. 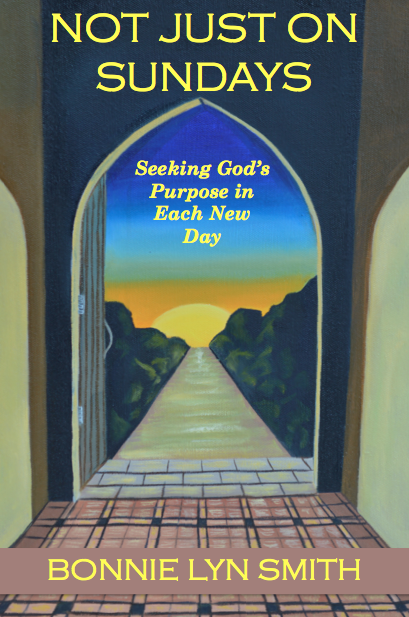 When Not Just On Sunday arrived a few weeks later, the subtitle excited me: “Seeking God’s Purpose in Each New Day”. Yes! That sounds like what I desire to do with my life! Not Just On Sunday might appear daunting with 312 pages, but don’t let that intimidate you. Filled with Scripture, and reflections on faith and life drawn from Bonnie’s personal journey, you will laugh, cry, and be refreshed. Happy Thanksgiving from Espressos of Faith! I truly appreciate those of you who regularly follow “Espressos of Faith” as well as those of you who stop by to check it out! 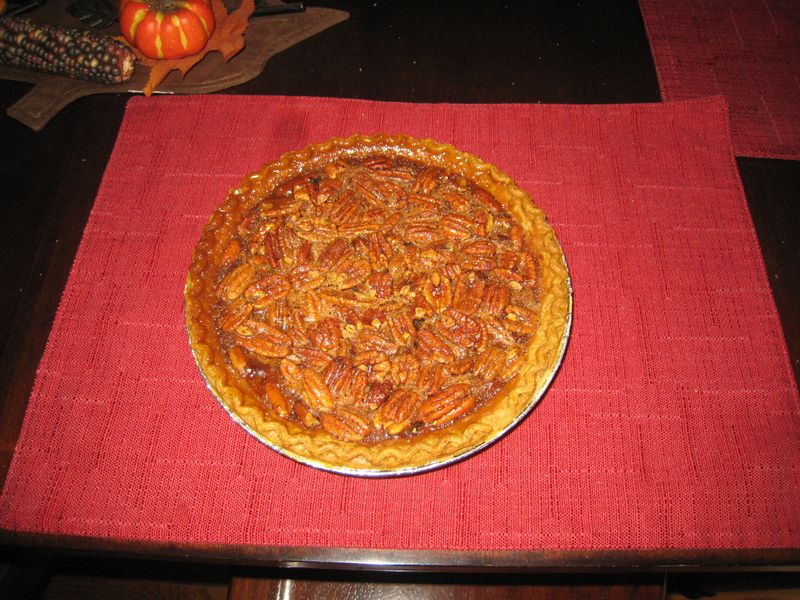 You have made this blog what it is, and I’m thankful for you. I’m going to make this short, since we are hopefully all with loved ones and/or taking some good rest and food to restore ourselves. For those of you working, blessings on your day, and thank you for working a holiday for others who do not have to work it this year. Today, I am thankful for family and friends, for healing and things still in the process of healing, for a published book (Not Just on Sundays), and for all those who made that possible (editors, artist, photographer, book marketer, printer, pastor, readers, and people who encouraged and prayed me through). I’m grateful for lessons learned and for places where God is working out my character and peeling off areas of pride and replacing them with areas where I hopefully rely more on Him. I am thankful for His Holy Word, which brings the only true wisdom to me in managing marriage, raising children, getting through challenges, fighting things that come against us, seeing blessings even in the valleys we walk through, and healing relationships. This has been an intense year for our family for many reasons, and I’m so thankful for lessons learned—sometimes painful—in the valley, where answers still were not on the horizon, and all we had was faith in things unseen. I’m grateful both for the people who walked through the valley with us as well as those currently in a valley of their own who allowed me in to hold their hands for a while. We are thankful for the warm hand of Jesus in ours as each step we take—in work, our families, and our faith—is often uncertain, except for with Whom we are walking. May you know the peace, rest, love, grace, mercy, and incredibly deep love of Christ this Thanksgiving and always! PUBLISHED! My Heart in 332 Pages. 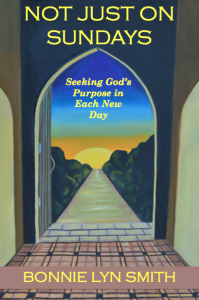 Today, “Espressos of Faith” celebrates the publication of Not Just on Sundays: Seeking God’s Purpose in Each New Day (available now at amazon.com!) with a little reflection on how it feels to hold that book for the very first time. Thank you for being on this incredible journey with me. Your readership has made me strive to use my voice in better ways. I surely hope I accomplish that most of the time, but I so appreciate your grace on the days I fall short. I hate the mail. I really do. And when my kids bring it into the house on the way in from the bus stop, I feel immediately anxious. Part of this comes from being conditioned to only receiving mail twice a week when we lived in the Marshall Islands. When we did get mail, it was essential mail only. No junk mail. But not here. In the U.S., two-thirds of the mail is advertisements, political campaigns, and credit card/insurance offers. I can’t stand that stuff coming into my house and claiming real estate on my countertops, which is what happens since someone else sets it down, and it might be days before I notice it. So, yeah, I have issues about my mail. Our postal worker must hate me because I personally only collect it twice a week. She gets very creative about how she stuffs my standard-size mailbox. It’s almost a game at this point. But I was expecting my book proof for two days, so the mail was starting to seem a bit more exciting. And the mail usually comes at 12 PM. But, of course, this time it came at 3 PM. I must have gone down to the box about 10 times yesterday. I think I wore a path in the lawn. The mailbox even started just opening as I approached it, like a big yawn, because it was so happy I was finally taking an interest. Okay, that last part was a bit of an exaggeration. But it did spring open with a bit more enthusiasm than usual. There would be time for checking headers, footers, pagination, blank pages, and overall formatting and content in a few minutes. But at that moment, my book and I danced. I wept. My heart grew five sizes bigger inside my chest. It was real. It was here. But I didn’t just shed tears for joy. I shed tears for healing, for hope, for health, for heartaches, for all of the stories wrapped deeply into those pages. As I opened it to take a peek, I felt so many things want to leap out, ready to spill into other lives now. Things I had kept close to me. Things that were begging for release. I had prayed my words would be a comfort and a hope to others. That nothing in there would poke at anyone else’s hurt, but only serve to show the way to the light at the end of the path. But it’s also me word-naked before the public now. Before friends, family, and complete strangers who otherwise didn’t know the ins and outs of my mind and life to that great extent. I was standing in front of the book mirror with my pages open. And everyone could read me now. all wrapped up in one bow—or box, as the case may be. And in my prayers as this book came to publication, I asked God to please let it be a message of hope, healing, encouragement, and faith, and that it would give people a glimpse of His amazing love for them. I asked that nobody would misunderstand or be hurt by anything written, and each time I read it through, I tried to read it from a different perspective, wanting to feel the hearts of those in my potential audience. I prayed that His words would go deep into the people who need to hear them. I prayed He would show me any places where I was not reflecting Him correctly, where I was too edgy, too snarky, too negative, and take them out—that He would only let me write and keep in what was edifying, to build up others. That can be a challenge when hitting topics that are sensitive, like abandonment or relational struggles. Those can be so hot-button that everyone thinks it is written about them (even if I don’t know them!). But, actually, it is. Because it’s written about all of us, myself included. So, I hold my breath now, trembling a little at the thought of letting this long-term project go out into the world—no matter how limited the audience. I have held it for so long in my arms, and pushing “publish” set things in motion that now cannot be reversed. Me—real, raw, tender, vulnerable, and a little quirky—I’m out there. But beneath this tiny voice trying to get out is a bigger, more important one that I so desperately want people to hear: the voice of the Father’s amazing love and how it speaks so patiently, mercifully, and compassionately into my very imperfect life. How He speaks to all of us, if we’re listening. As I read some of my own shared struggles as well as those of other writer/blogger/author friends of mine, I keep coming back to this: The written word is a tremendous responsibility. It’s a responsibility not to lash out (there are ways to express frustration and pain without cutting anyone). It’s a responsibility to be honest, even through fiction—not always that the situation we present is our own but that we know how to present a situation because we’ve done our research and listened deeply and attentively to those in that particular struggle. It’s a responsibility to share our own lives, when appropriate, with integrity and in a way that is not dishonoring to anyone. And it’s a responsibility to have hands outstretched in love, opening up our audience instead of excluding or polarizing people. I pray I have done that in Not Just on Sundays and will continue to do so through the next few projects I hope to accomplish. It’s important to write well and to regularly receive feedback. It’s equally important to love and respect your audience and those in your story. Without that, our stories are in danger of becoming sour, distorted, and cynical. Thank you, fellow writers/bloggers/authors, for inspiring me with the way you beautifully maintain that balance. And thank you, readers, for your willingness to participate in the flawed-but-ever-growing journey. I love that we have a God who is with us, who saves, who takes great delight in us, and who rejoices over us with singing. Wherever the journey takes me, I want to remain close to understanding that deep in my heart. I hope that you can too. Not Just on Sundays published today, October 1, 2014. It is currently available at amazon.com and amazon.co.uk. 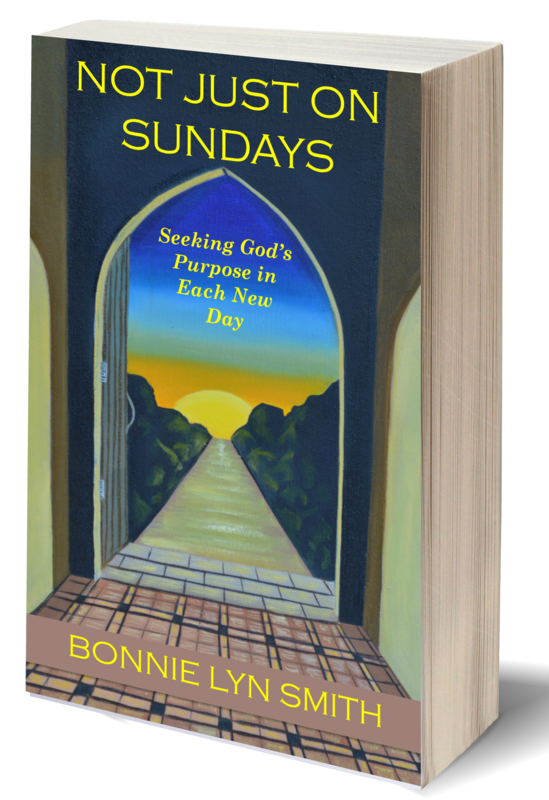 Posted by Bonnie Lyn Smith on October 1, 2014 in General Website Posts, Journey to Publication: Excerpts from "Not Just on Sundays"
Rest was built into our week, and day, by a loving Father and Creator Who knew our needs and that we could not go nonstop without melting down. He knew we had a tendency to be workaholics, obsess, think everything that has to be done can somehow fully be managed by us if we pretend each day and week has more hours in it. Obviously, someone’s “seventh day” may not always be the same as someone else’s. Emergency personnel, law officers, and pastors (among other professions) have to work on Sundays. So do parents! But, if you’re not taking your “seventh day” somewhere in your week, you are missing the holiness and blessing of the day of rest. I have found it to be true that when I rest, I am better able to focus on the days when there is plenty of work to be done. 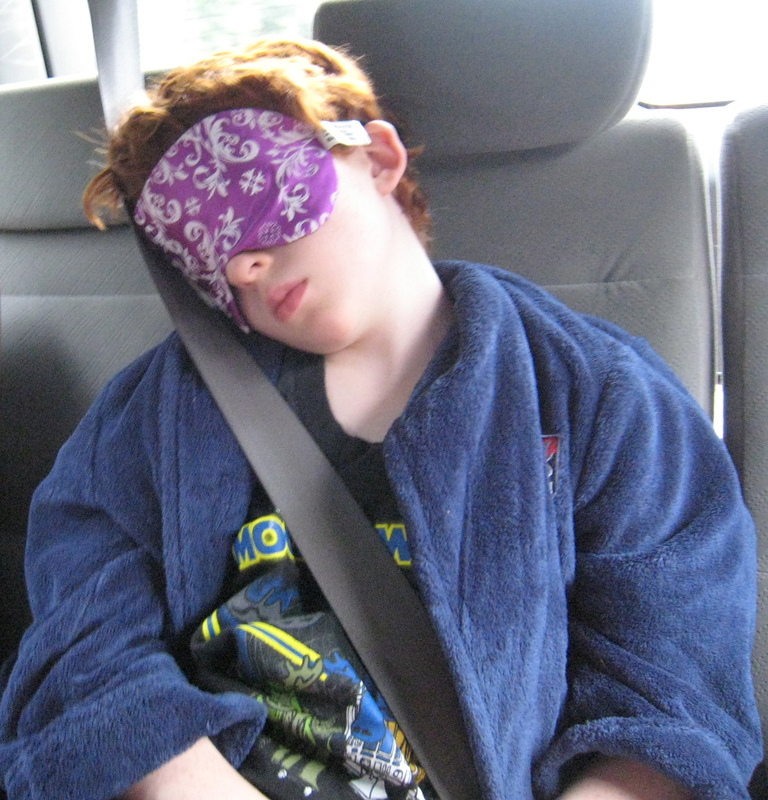 In the middle of all the stress that piles up by Day 6, Sabbath rest resets me for the non-Sabbath days. God took a day of rest. He set the precedent. Do we need any more justification or legitimacy than that? 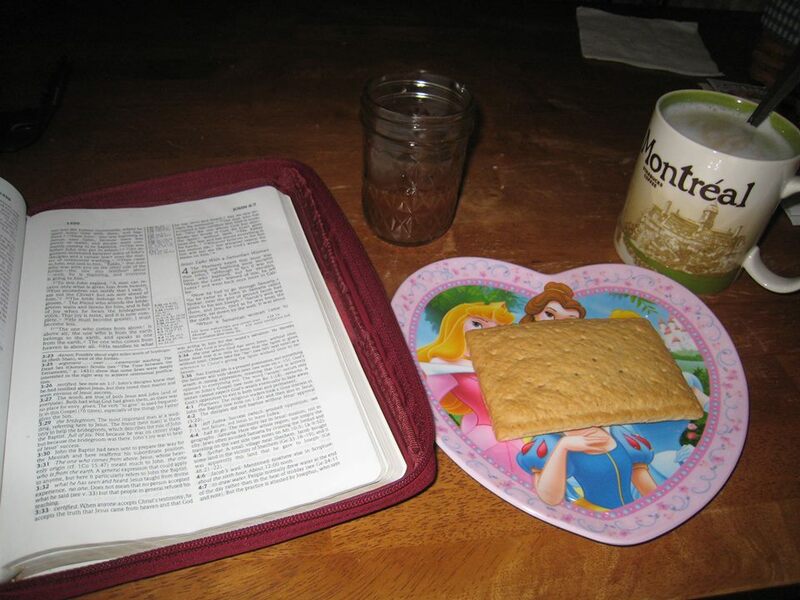 “Espressos of Faith” is observing Sabbath rest but will return with new postings tomorrow. Today, may you know the deep rest and peace He offers, whether this is your work day, a family day, or a day to catch up. Welcome to Espressos of Faith! There are so many discussions I regularly have on social media on a full range of important (and some just-for-fun) topics. I decided to move some of that conversation over here to Espressos of Faith. My sister and I dream about opening up an espresso shop on the New Jersey Shore when we retire someday; I’d love to serve espresso drinks and offer prayer all day. For now, this is the word version of a future dream. This web site is where anyone interested can follow my publication journey. But it’s also a place to join me in conversation about great reads, parenting in the trenches, how faith in Christ informs our family’s decisions about how to handle the everyday, the challenges and amazing blessings of a child in special education, life with two Shih Tzus, raising teens and tweens (daughter and sons), food allergy experiences, mental health advocacy, more-than-occasional coffee talk, and absolutely much ado about grace. All contents of this blog are copyrighted and may only be shared via a link back to this blog. Please do not share photos and/or content without linking back to Espressos of Faith. Thank you for visiting the site! To be added to a monthly newsletter for the publication of "Not Just on Sundays" and future books, as well as other news about the author, please indicate here. You can ask to be taken off the list at any time. Thank you!